I was going to go for seven straight Free Comic Book Day reviews, but I saw Hereditary last night, and I have to take a break for a day and shout about this film. It’s a modern day classic that will be discussed by fans of the horror genre for decades. I was excited to see this film since the moment I first saw the trailer: it was interesting, terrifying, and whoever put it together needs a raise. I saw the film last night: 7:00 P.M. I was anxious to see it as soon as possible, and while I’m sad to say that Nick Fury does not make a post-credit appearance, the film is bonkers…in the best possible way. Toni Collette absolutely kills the role as mom, Annie, in this unique family stroy. She steals the show, and if she doesn’t get some award nominations, I’ll be very surprised. And with the exception of Alex Wolff cast as the son, Peter, the rest of the cast is fine, but Wolff didn’t quite fit the role, and I believe the script required a bit much for him. A few times the audience was giggling at him on the screen, and it wasn’t nervous/scared laughter, it was because his emoting was not what it should have been. He picks it up toward the end of the film; however, overall, a different casting choice might have made a bigger impact on the film as a whole. I can’t wait to see it again because I feel that anything I say about the lighting and sound is going to be better after a second viewing, but I can confidently state that the film’s subtle use of music adds to the aesthetic; don’t expect it to be loud. Sort of a spoiler but not really…there are not many jump scares. This movie is more of a think piece than a slasher. The low key lighting is never too dark (unless when it needs to be), and much of the craziness happens in morning hours, which is unique for this type of film. The camera movements are stellar. Long tracking shots and perfectly placed pans create a movement we rarely see in this type of film. The camera effortlessly dances from room to room and from character to character, making this one of the more visually interesting films I’ve seen this year. I grew up on crappy, stupid horror films. That’s how a good amount of my high school weekends were spent. It wasn’t until recently that I became enamored with a higher quality of horror. I love the genre. I think creators can do things with horror that they can’t with any other genre. 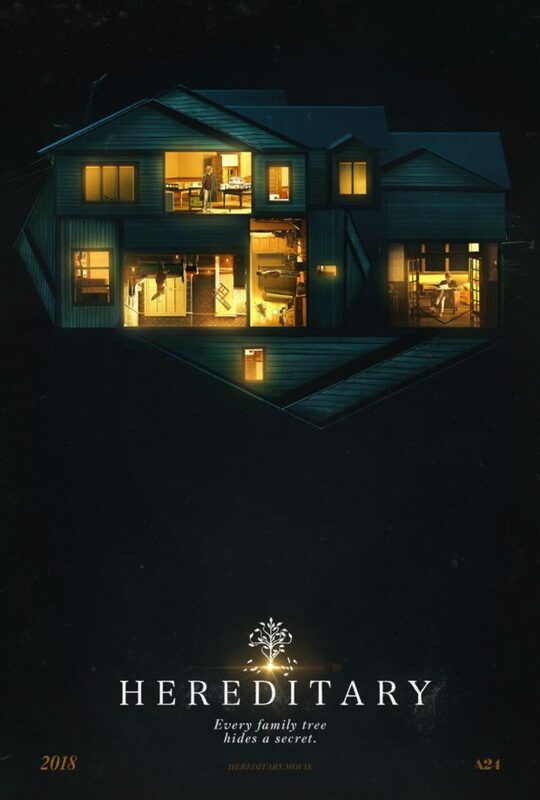 Some of it doesn’t land, and some films, like Hereditary will not only have people talking, but will dig out a place for themselves in the cannon.